A year ago, we started to look at how we might travel from one virtual world (anything from a simple program launcher to a more complex program like JanusVR) into a completely unrelated virtual environment. As I searched for some consensus on how portal should look and operate, I wasn’t able to find any good guides which cover the topic. (The extensive use of the word portal by web-based companies has made it a particularly difficult topic to search.) This article is a (non-exhaustive) review of portals as a popular method used in virtual worlds today to transport the user to entirely different regions. What are portals? Portals are typically objects or areas in the environment which advertise the ability for a user to approach and engage them in order to be teleported to a new location. Traditionally, they are placed vertically along a wall (and walked into), but they can be placed horizontally along the floor (and stepped onto). An additional action may be required, before or after moving an avatar into the aperture, to actually engage the portal. Portals won’t be the exclusive means of long-distance travel within and between virtual worlds. What portals have going for them is that they’re already commonplace in virtual worlds, they can be visually integrated into many themes, and they’re easily understood by players. In JanusVR, portals take center stage as the method used to connect otherwise unrelated virtual worlds. This is the third and final article (in a series) on the issues that face the virtual reality community as it finally enters a period of rapid and sustained growth. If you need additional context, please begin with the first article in the series, “Before the Eternal September of Virtual Reality“. You are a developer, right? That’s the impression that many of you gave Oculus when you agreed that you were purchasing a product that was intended for developers. If that is actually not the case, we’d like for you to stick around. Given the amount of time that the development kits have been available, and the introduction of other “innovator” products (like Cardboard and Gear VR), I think that it is a safe bet that software developers are already a small minority in the VR community. This time around, nobody is holding your order hostage until you click the checkbox with the correct answer. Do you mind giving this unscientific poll a quick response? Only a year ago, we were using the original Oculus Rift Developer’s Kit (DK1). The community could be an unfriendly place for non-developers. Do you know how we tended to respond to those who were having problems finding good games and getting them to work? Repeat the mantra from the caption below. This is the second article (in a series) on issues that face the virtual reality community as it enters a period of rapid and sustained growth. If you need additional context, please begin with the first article in the series, “Before the Eternal September of Virtual Reality“. Along with a massive influx of new users, how much thought have we given to malicious actors entering the fold? Griefers aren’t anything new to virtual worlds. In last year’s article, Griefing and the Metaverse, we explored some of the problems that persistent virtual worlds have faced. In recent history, our new virtual reality applications have had precious little exposure to malicious actors. We can expect our isolation to end as more people begin to own VR hardware. I watched a worldwide community die. Not just one. Hundreds of them. Thousands of them. As the National Science Foundation Network transitioned into the public Internet, everything changed. Up until the mid-1990s, Usenet Newsgroups were the place to go for lively conversations and well reasoned debate on any number of topics. Social issues, technology, cooking, auto repair, you name it. The topic was already there, and people were ready to talk about it. Valve’s Lighthouse as USB: Anything More than a Bunch of Spin? This is the third article in a series on the Valve/HTC Vive Ecosystem. If you you need additional context, please begin with the first article in the series. 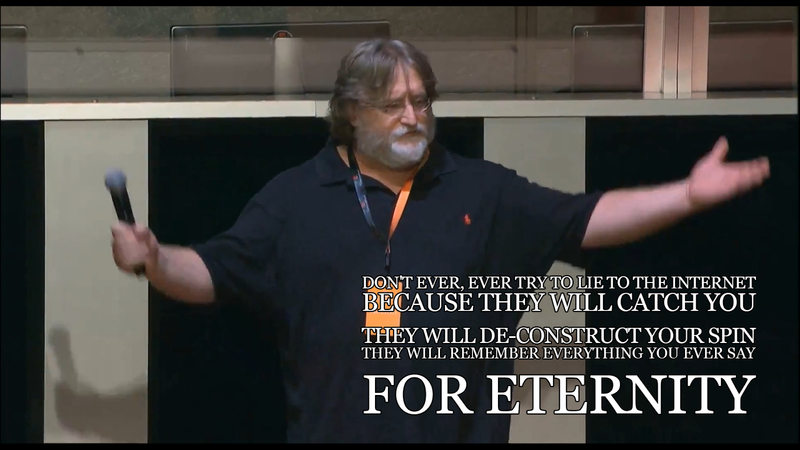 A famous quote from Gabe Newell is about a lesson that Valve learned early-on when dealing with the Internet. You can find it in Episode 306 of the Nerdist Podcast at 00:12:14. This is the second article in a series on the Valve/HTC Vive Ecosystem. If you have not already done so, please begin with the first article in the series. Today’s article will provide additional information on the Lighthouse units, explain the Lighthouse sensor system, and take a brief look at the sensor processing which is used to return the absolute position of a tracked device. This particular article will try to tread carefully. There’s no way around it, folks. This article is going to contain facts, rumors, innuendos, and outright lies about the operation of Valve’s Lighthouse sensor system. We’re working with publicly available information, which is scarce. It is still in development and very subject to change. There is no need for regular users to understand the underlying details. 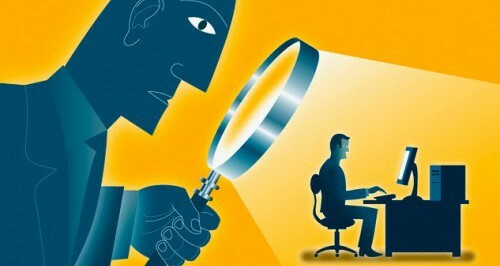 Software developers can expect to be given an API that reports position without knowing any of the underlying hardware details. Finally, for the time being, Valve employees are busy getting this stuff ready, and their time is better spent working on the product than answering all the outside questions. See page #9 of the Valve Handbook for New Employees for more details on how that process works. We’ll have to assume that we’re on our own, for now. I’m going to use the earlier research and development model for a reference. The recently announced HTC Vive looks to be a strong technology competitor against the highly anticipated consumer release from Oculus in the PC space. While Oculus has long-ago stated that they are working to deliver their consumer VR headset at a lower margin, possibly even at cost, HTC/Valve has announced their entry of a premium VR experience. A very cyberpunk future for tomorrow’s Metaverse? In the Oculus Rift forum, I came across an interesting letter. It claimed to be written by someone who previously worked for Valve’s VR team. In it, he talks about the future of the Metaverse. It is unnerving how plausible his prediction plays out. Is the Metaverse destined to be run by a companies that are trying to maximize your engagement and sell your attention to advertisers? Will they build a detailed profile personal based upon your every action (if only to enhance their ability to engage and advertise to you even better in the future)? What would a Metaverse that is born out of today’s environment look like? You really need to read his perspective on the future of VR. Perhaps the Metaverse of tomorrow will be nothing but a treadmill to keep you hooked, advertised to, and recording/analyzing your responses to refine the process?